We are finally reaching that time when iPhone X hype is behind us and we can firmly look forward to welcoming to the market what will arguably be the best Android smartphones of 2018. 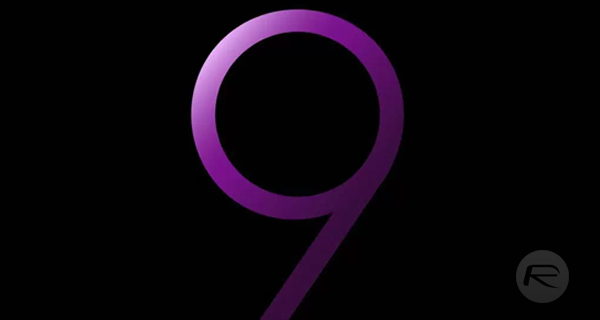 Samsung has officially announced via invitation that it will be introducing Galaxy S9 and S9+ at the opening of this year’s Mobile World Congress (MWC) in Barcelona, and now we can get a glimpse of it along with some additional information. First and foremost, we can clearly see what the Galaxy S9 and S9+ will look like in the included renders, from the front anyway. Those renders show two devices, which are basically identical from a product design perspective and differ solely in size, with the S9 coming with a 5.8-inch display and the S9+ packing in a 6.2-inch panel. They may both look identically visually – save for the physical size and dimensions – but Samsung has introduced a number of notable changes that will make users seriously consider purchasing the larger S9+ over the 5.8-inch S9. Both devices will ship with the same processor configuration. S9 and S9+ will get a Qualcomm Snapdragon 845 in the United States and China and an Samsung Exynos 9810 wherever the device is sold in the rest of the world outside of those two huge markets. The smaller S9 will ship with an internal 4GB of RAM and an accompanying 64GB internal storage capacity. This is one of the first differences where S9+ is concerned with Samsung opting to sell that device with an upgraded 6GB of RAM and a whopping 128GB of internal storage. Those specs mean that the larger S9+ will definitely appeal more to the power-hungry individual who requires a lot of storage. Samsung’s official invitation didn’t give much away but it did tell invitees, and consumers around the world, that this release would focus on camera improvements, likely both from a hardware and software perspective. Two individuals who are said to have an understanding of the devices have suggested that both S9 and S9+ will have motion-detected, super slow-mo video capture as well as variable aperture capabilities on the rear-facing camera. For the Galaxy S9+, Samsung has slapped on a second 12-megapixel module with a standard fixed aperture. 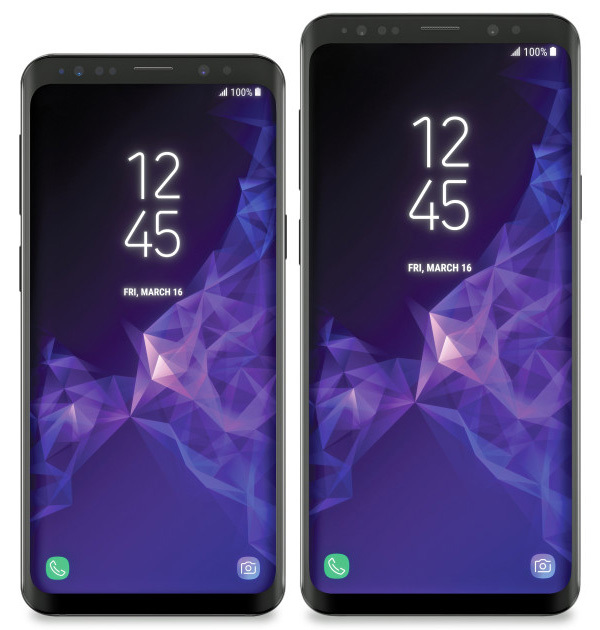 As for design, as can be seen in the renders above, while the design language seems very familiar, it seems like S9 series has more bezels than S8 series, especially on the sides and on the top. The top, notably, also has more sensors possibly for Samsung’s Face ID competitor to iPhone X.
Samsung will announce both devices at the beginning of MWC on February 25th with sales expected on or around March 16, 2018.
bezels are not actually bigger. Renders have trouble with the curved edges and it always appears that way. Was the same on the S8 render. I hope other smartphone manufacturers don’t focus on face ID too much because that is one of the least popular things about iphone. I much prefer touch ID. …and it’s processor is half as powerful as the X lol moving on. lies all lies, that’s clearly wrong look at the state of it!! these are renders probably made by an isheep and I bet my left nut they are wrong.